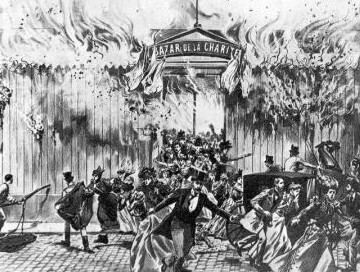 Talking of lost films, as we have been, today sees the opening in Chicago of A Charlie Chaplin Christmas, a play based around an imaginary lost Chaplin film, A Tramp’s Christmas. The play is a production of Chicago’s Silent Theatre Company, which has the brave and notable mission of creating stage productions inspired by silent movies. Its previous production was Lulu, based on G.W. Pabst’s Pandora’s Box. 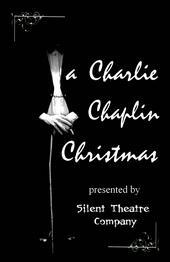 A Charlie Chaplin Christmas tells of a production company in the silent era desperate to find production funding. It tells potential backers that is has Chaplin signed up to take part in the film, and then have to make good its promise with a convincing lookalike. One of the inspirations behind the production is the old story that Charlie Chaplin himself once entered a Chaplin lookalike content, and came third. As with Lulu, the Silent Theatre Company performs in monochrome. Sets, costumes and make-up all are in black-and-white (or black or white). The production is running at the Studio Theater in the Chicago Cultural Center, and runs until January 6. More information, visit the Silent Theatre Company’s MySpace page.